It's been awhile since I've had a day to stamp with a friend. I always enjoy the times when I do get together to stamp one-on-one because whoever it is, we always have such a great time! My friend (and newest downline member! 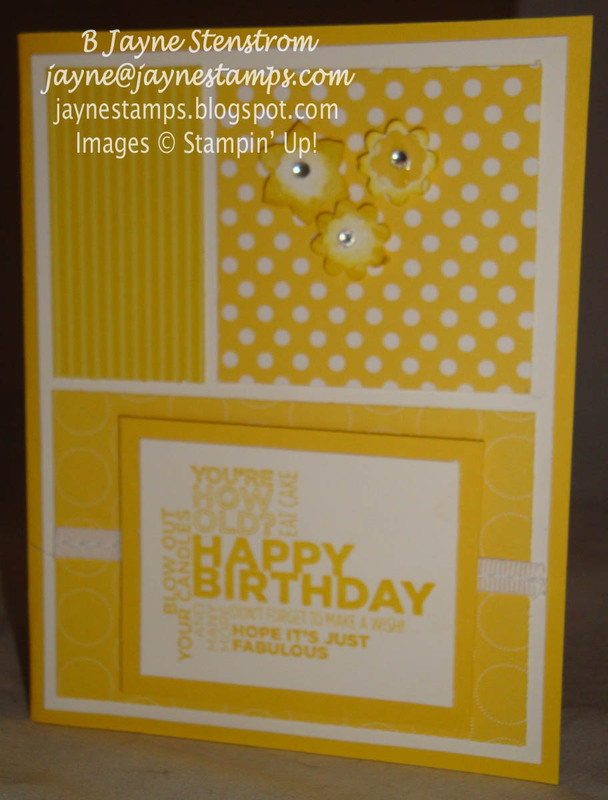 ), Donna M., came over a few weeks ago and we had some stamping fun. 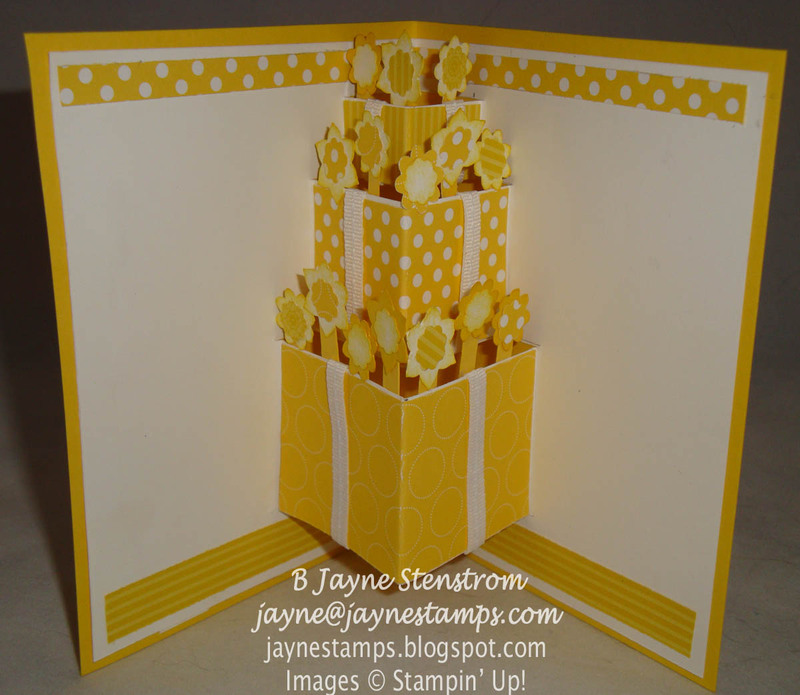 One of the projects we made was this Birthday Pop-Up Card. I saw it on Lisa Young's blog and had it marked so I could make it sometime. It's SO cute! To keep it simple, we made our cards monochromatic, using the Polka Dot Parade Designer Series Paper. 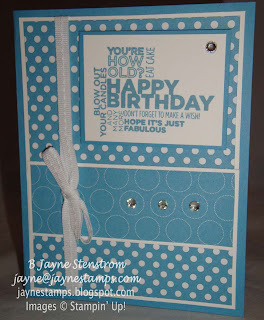 The saying on the outside of our card is from Delightful Dozen. 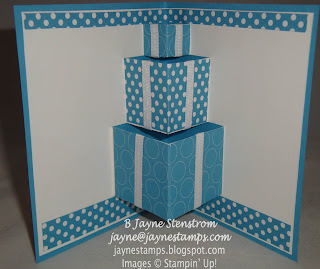 But look at what happens when you open it up! Isn't that fun? I didn't put any saying on the inside yet because I'm not sure who I will be sending this to. 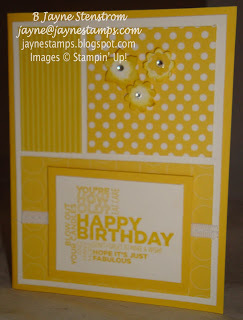 Donna made her card in Daffodil Delight. 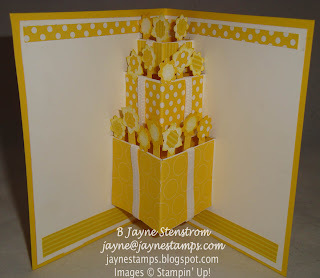 Since she knew it was going to be for her niece, she added some flowers made with the Boho Blossoms punch. And then she got the idea to add flowers on top of all of the pop-up presents! 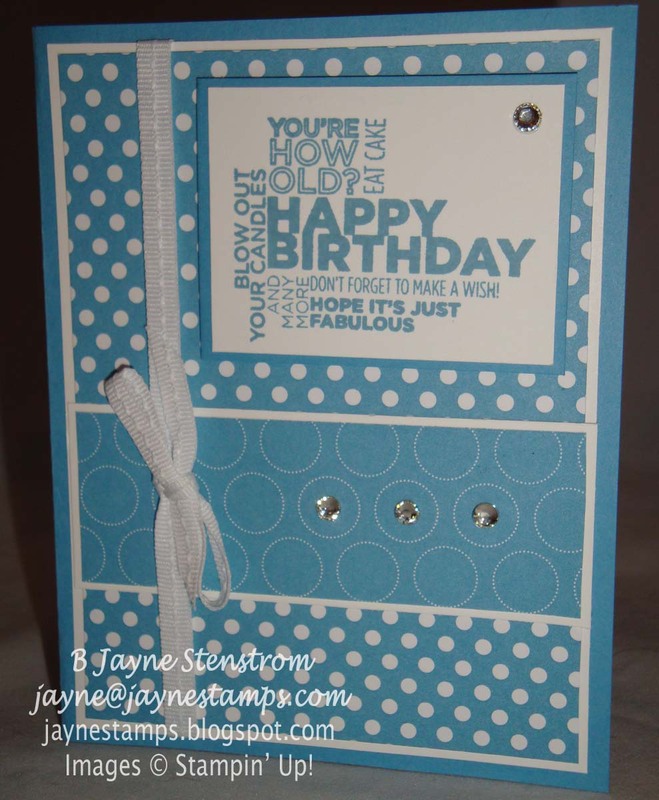 Wouldn't you love to get a hand-made card like this for YOUR birthday? I know I would! By the way, if you would like the instructions to make one of these for yourself, you can go HERE and Lisa has step-by-step instructions to make it very easy for you. If you do, send me a picture of your creation - I'd love to see it!